If you and your spouse plan to get a divorce, you should probably be aware that any divorce that is not finalized before January 1, 2019 will be subject to new law concerning the taxability and deductibility of alimony. Currently, unless otherwise specifically designated, alimony is taxable to the recipient and deductible for tax purposes by the payor. However, under the new federal tax law, for any Final Judgments of Dissolution of Marriage entered on or after January 1, 2019, alimony must be non-taxable to the recipient and non-deductible by the payor. If you can effectively finalize your divorce prior to January, 1, you may save yourself a world of headache, and a significant amount of money. For more information, call the Boca Raton spousal support attorneys at the Law Offices of David L. Hirschberg, P.A. today. Most of Florida’s alimony laws do not really favor the paying spouse save for a few. One of those laws makes alimony payments tax deductible for the payor. On the other hand, the same law makes it necessary for the recipient spouse to pay taxes on spousal support as he or she would on any other form of income. In many ways, this structure benefits both parties, as the higher-earning spouse can significantly lower his or her tax burden while the lower-earning spouse can pay taxes at a lower rate by contributing his or her alimony payments to an IRA. Come 2019, however, this beneficial system will change. Spousal support will no longer be tax deductible for the payor, and the recipient spouse will no longer have to pay taxes on his or her payments. While this may seem like another unfair change for the payor, it actually hurts both parties. As of right now, recipients can contribute their spousal support payments to their IRAs, but because it will no longer be viewed as income in 2019, that privilege is gone. For some, that is not a huge deal, but for the money-savvy and future-ready, it can be a huge detriment. Again, these changes will not go into effect until January 1, 2019, and those who finalize their divorces prior to then will not be affected by these changes. If you are in the midst of a divorce, or if you and your spouse have discussed a divorce, you may still be able to file and finalize before the end of the year. Talk to your Boca Raton divorce lawyer about what you need to do to accomplish an uncontested divorce in as little time as possible. If you want to modify your agreement later on, the new changes will not affect you. If you and your spouse are in the midst of a difficult divorce, or if you are on the brink of filing, do not wait until the new alimony laws come into effect. Doing so could end up costing you big time over the course of your lifetime. 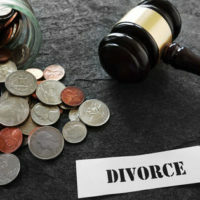 Soften the financial blow of your divorce as much as possible and reach out to a Boca Raton divorce lawyer at the Law Offices of David L. Hirschberg, P.A. to discuss your case today.